In early June this year, pupils in years 5/6, from several schools in West Bridgford, began to learn how to play a new team sport – korfball. They loved it so much that the local club, whose coaches had visited the schools to introduce the basics of the game, put on an inter-school korfball tournament. 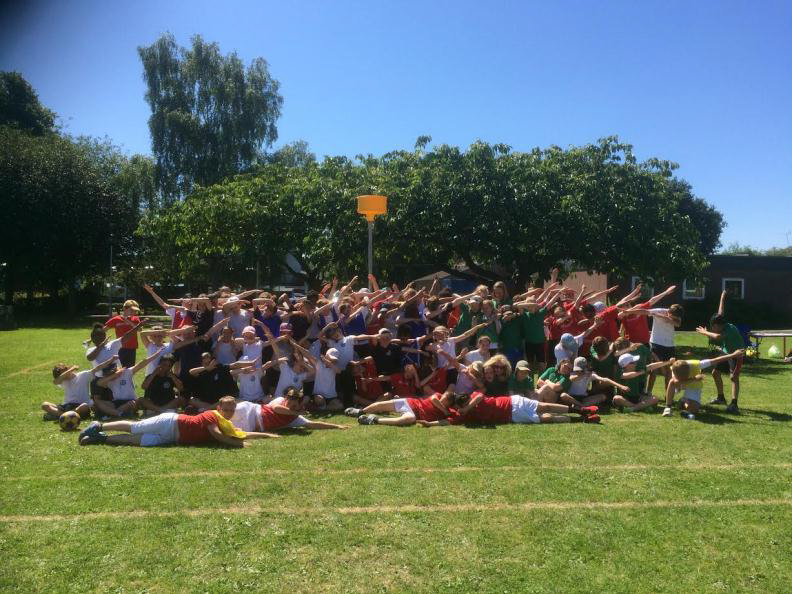 On July 19th, one of the hottest days of the year, around eighty yr. 5/6 boys and girls - korfball is a mixed team sport - enthusiastically played their hearts out in the hope of becoming winners of the tournament. Three teams from the hosts, Abbey Road School, were joined by two teams from West Bridgford Junior School, two teams from St. Edmund Campion primary school and one from Greythorn Primary School. Two pitches ran concurrent games for most of the morning, keeping the desk and refs very busy, as well as the teachers and players. Both boys and girls worked together to create scoring chances. There were many close games and lots of goals; in fact, 92 goals in around 116 mins of game time! Very impressive! Many players had their first experience of korfball a couple of weeks beforehand and this really shows how easy it is to pick up the game. The final was contested between two teams from the same school, St. Edmund Campion 1 and St. Edmund Campion 2; with St Edmund Campion 2 just edging it, winning 2-0 in a tense penalty shoot-out. Nottingham Falcons Korfball, the junior section of Nottingham Korfball Club, is now back training at Rushcliffe Leisure Centre (though they will move back to Rushcliffe Arena when it’s ready!) and, as Falcons lead coach Kathy Shaw (Korfball Kathy!) said at the tournament, they’d love to see more KS2 children having ago at the sport. So… if you played in the tournament and want to play more, or if you’re in any KS2 class and you’ve just read this and fancy a go, there’s more information in the juniors’ section of the club website www.nottskorfball.co.uk or contact juniors@nottskorfball.co.uk Join now and play in a tournament in Harrow in early 2017!